Are you a vegan and missing Caesar salad? Most recipes for homemade Caesar salad dressings are not vegan or vegetarian, as they often contain anchovies. Caesar dressings that you buy at the grocery are almost certainly not vegetarian and unlikely to be vegan (even they say they are vegetarian). Traditional Caesar salad is made with coarsely chopped romaine lettuce, shaved or grated Parmesan cheese, and seasoned croutons—often anchovies are also tossed with the lettuce greens. You're likely to discover many of your guests never really liked the anchovies as an addition, nor too much strong anchovy flavor in the dressing. Curious about the anchovies? You may be wondering whether fish is vegetarian or vegan. The simple answer is no; fish are animals and therefore anchovies are not vegetarian or vegan. 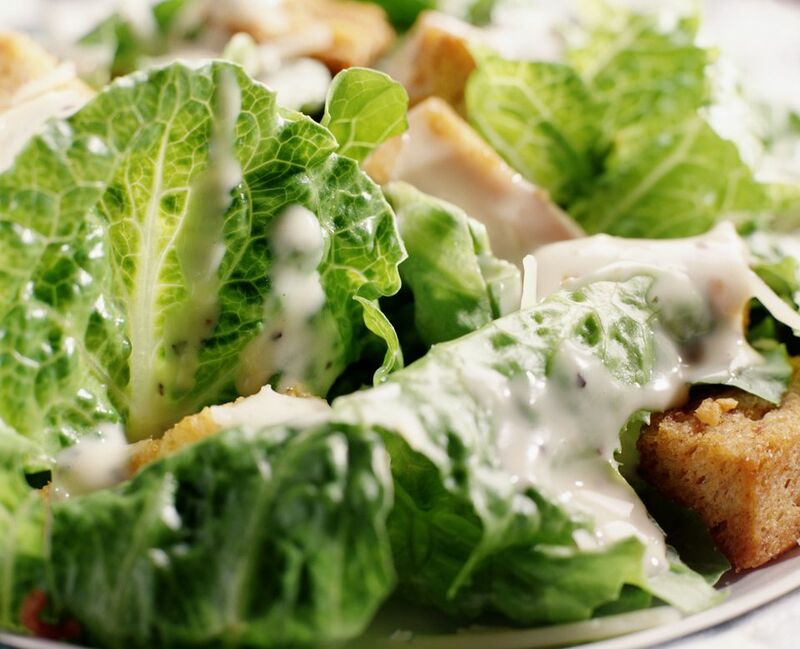 This easy Caesar salad dressing recipe, however, packs in all the flavor without the fish. It is both vegetarian and vegan as no mayonnaise is needed, just lemon, garlic, Dijon mustard, olive oil, and a vegetarian Worcestershire sauce. Be sure to check the label for the Worcestershire sauce since some brands are vegetarian and some contain fish and so are not vegan. Place all of the ingredients except the oil in a blender or food processor (garlic, lemon juice, vegetarian or vegan Worcestershire sauce, onion powder, and Dijon mustard). Turn the machine on and process, then slowly add in the oil, processing until the salad dressing is smooth and creamy. Toss your salad greens with the dressing immediately before serving.